This fully revised Second Edition of Veterinary Psychopharmacology offers an authoritative reference to the drugs prescribed to treat psychiatric, psychological, and behavioral disorders in pets. Designed to be an accessible resource, the text is divided into sections on psychopharmacologic principles and clinical psychopharmacology. Comprehensive in scope, the book contains detailed information on pharmacologic intervention for pet mental health and behavior issues, offers thorough explanations of options, and explores why a particular drug should be prescribed and why it works. 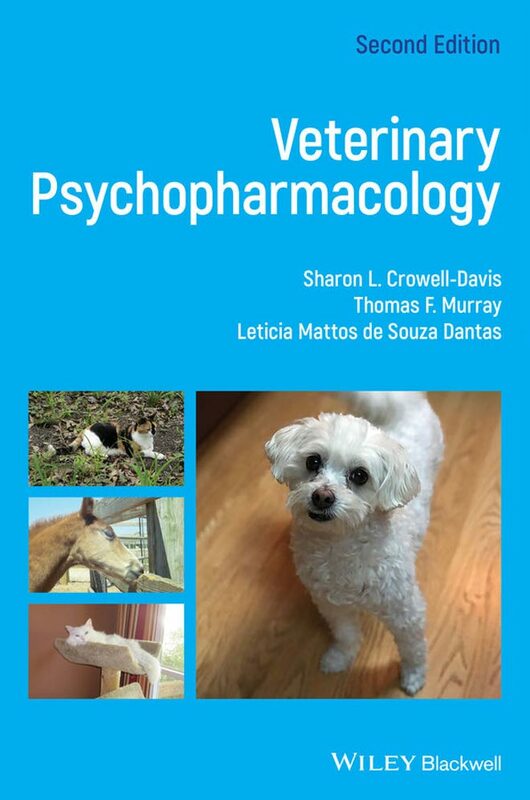 Updated to include the recent advances in psychopharmacology for pets, the Second Edition includes new chapters that cover the principles of psychopharmacology, miscellaneous serotonergic agents, anticonvulsants and mood stabilizers, sympatholytic agents, and NMDA antagonists. In addition, the text explains the drug options, including all the information necessary to correct dysfunctions in the brain's chemistry through pharmacologic treatment. Last edited by Motoko; 6th March 2019 at 03:11 PM.